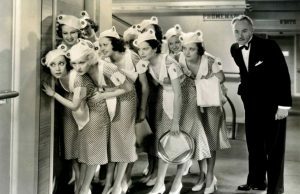 Toronto Film Society presented Mystery of the Wax Museum (1933) on Monday, July 30, 2018 in a double bill with Bluebeard as part of the Season 71 Summer Series, Programme 4. Production Company: Warner Bros. Producers: Henry Blanke, Hal B. Wallis. 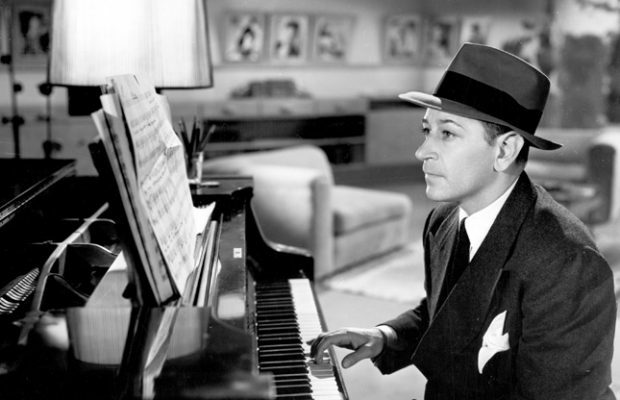 Director: Michael Curtiz. Screenplay: Don Mullaly, Carl Erickson, based on a story by Charles S. Beldon. Cinematography (Technicolor): Ray Rennahan. Art Director: Anton Grot. Film Editor: George Amy. Gowns: Orry-Kelly. Release Date: February 18, 1933. Cast: Lionel Atwill (Ivan Igor), Fay Wray (Charlotte Duncan), Glenda Farrell (Florence Dempsey), Frank McHugh (Jim, Editor), Allen Vincent (Ralph Burton), Gavin Gordon (George Winton), Edwin Maxwell (Joe Worth), Holmes Herbert (Dr. Rasmussen), Arthur Edmund Carewe (Sparrow, Professor Darcy). 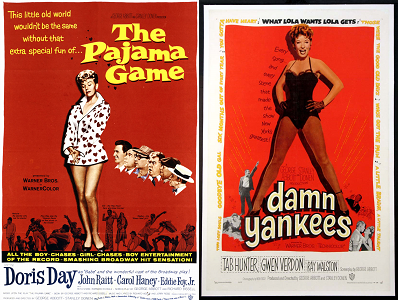 There have been written comparisons of The Mystery of the Wax Museum with both films Mad Love and Doctor X. Since we saw Mad Love only two weeks ago, we’ll be able to see the similarities and differences between tonight’s film when we compare it in our minds so it might be more interesting to look at the two films made in the pre-Code era. Mystery is a similar story to Doctor X made by the same director, Michael Curtiz, featuring the same two main actors, Lionel Atwill and Fay Wray, along with one of the character actors, Arthur Edmund Carewe. Both were shot in two-strip Technicolor by the same cinematographer, Ray Rennahan, George Amy was film editor, and art direction was created by Anton Grot for both films. 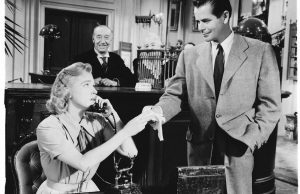 The major difference in the casting is the gender switch with Glenda Farrell taking over Lee Tracy’s role as a reporter. 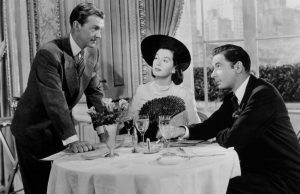 The most curious of all casting is Warner stock player Frank McHugh who only appears in scenes with Glenda Farrell. Regardless, McHugh’s presence is a double-edged sword. He definitely adds to the film’s comedy and believability, while seeming somehow at odds with the more stylized theatrics of Messrs. Atwill and Carewe. Special mention should be made of Arthur Edmund Carewe’s Prof. D’Arcy in the film, one of the gamiest and most pointed interpretation of a drug addict on film. Drawn to some extent from Luis Alberni’s addict in the 1931 The Mad Genius also directed by Curtiz, he even shot a drug-taking scene in an identical manner as he did in this earlier film. The remake, 1953s House of Wax is more widely seen, and starred audiences favourite horror master, Vincent Price. 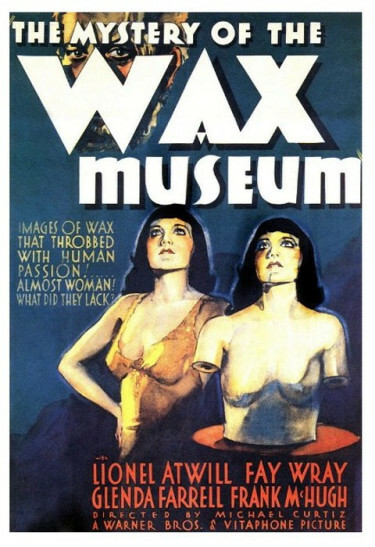 Mystery of the Wax Museum was produced by Warner Brothers. to capitalize on the fad for horror films at that time, ranging from the now-legendary Universal franchise of horror films to low-budget, independent productions like White Zombie (1932). This particular film reunited the team of director Michael Curtiz, photographer Ray Rennahan, art director Anton Grot, lead actor Lionel Atwill, leading lady Fay Wray, and supporting actor Arthur Edmund Carewe, who had all contributed to the success of Doctor X, the year before. 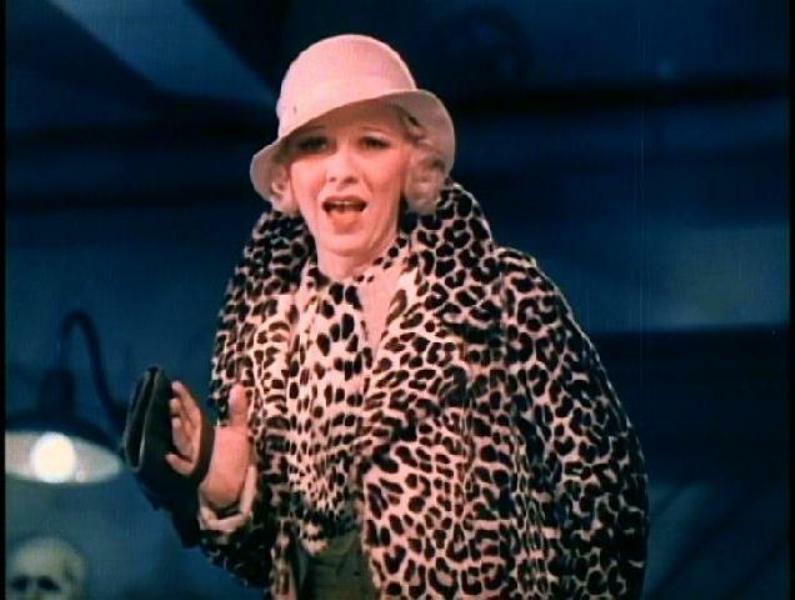 An important addition to the formula was the comic performance of Glenda Farrell, who plays the cynical, fast-talking reporter—a character that she would revisit in the Warner Brothers’ popular Torchy Blaine series of the late-1930s. 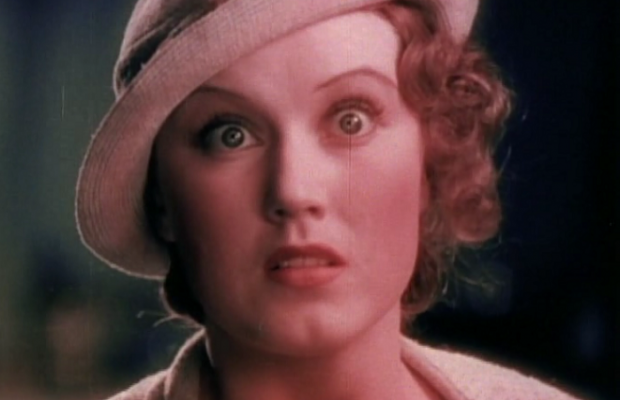 Produced in the fall of 1932 and released in February of 1933, Mystery of the Wax Museum was the last picture to be shot in the Technicolor, two-colour process, and it represents one of the most effective uses of it, in terms of visual design. The direction by Michael Curtiz; the lighting by master cinematographer Ray Rennahan; and the frequently abstract set designs by Anton Grot, combined with the restricted tonalities inherent to the colour process, create an eerie atmosphere reminiscent of German expressionism. Although it is often referred as “two-strip Technicolor”, the actual photographic process, which was developed in 1920, used a single black-and-white negative. The film camera recorded two adjacent frames simultaneously on a single strip of film, one frame filtered to capture the green colour record and the other filtered to capture the red. The process required extremely bright lights, resulting in hot temperatures on the set and even eye damage to many actors during that period. In Mystery of the Wax Museum, the heat necessitated the use of real people in place of wax sculptures, since the wax would have melted. If you look closely, you can occasionally spot very slight eye movements in the actors posing as the statues. 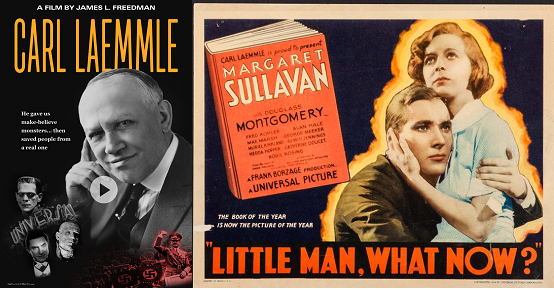 The film was considered lost for many years until a print was found in Jack Warner’s private vault. While no masterpiece compared to the best Universal horror films, Mystery of the Wax Museum remains briskly entertaining and, above all, striking to look at.